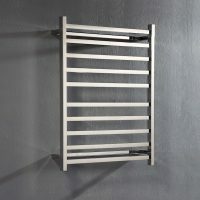 Make your bathroom more functional with the elegant and practical Square 900mm Single Towel Rail. 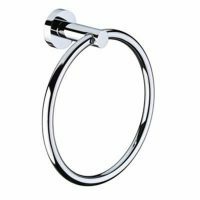 This practical bathroom accessory is available in a brilliant chrome finish and will add both charm and functionality to your bathroom. 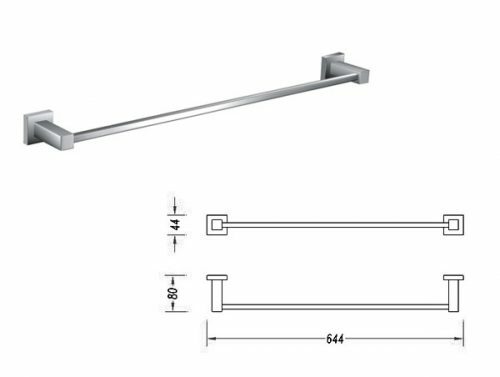 This single towel rail measures 900mm in length and weighs 0.1kg. It is designed to be used as a wall mounted unit and can easily be installed in any bathroom. It features a distinctive style and design that is versatile and trendy. Its square shape will complement existing bathroom décor and thanks to the chrome finish, it will blend in with tapware and other bathroom accessories as well. Rest assure this towel rail has been designed for seamless integration in any bathroom design. 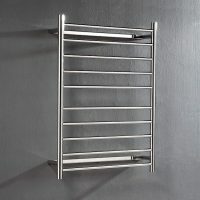 The Square 900mm Single Towel Rail features solid brass construction, which makes it highly durable. It is a reliable unit that features superior workmanship and high quality of manufacturing. This Australian manufactured product will easily offer you several years of service. To redefine the look of your bathroom and increase the functionality, choose the Square 900mm Single Towel Rail. Purchase this practical bathroom accessory at a low price from our store today and avail of free deliver all across Perth metro!